Gregor Weihs is Professor of Photonics at the Institute for Experimental Physics at the University of Innsbruck, an Associate of the University of Waterloo's Institute for Quantum Computing and Vice-President for Natural Sciences and Engineering at the Austrian Science Fund. While being on leave from his position in Vienna he spent two and a half years as Consulting Assistant Professor at Stanford University collaborating with the group of Yoshihisa Yamamoto (now at RIKEN) and Assistant Professor of Research at Tokyo University working on semiconductor quantum optics with Yasuhiko Arakawa's group. Gregor Weihs was DOC-fellow of the Austrian Academy of Sciences; he won the Appreciation Award of the Austrian Ministry of Science and Transport and the Loschmidt-Prize of the Chemical-Physical Society in Vienna. In 2007 he was awarded the Canada Research Chair in Quantum Photonics and in 2010 a Starting Grant by the European Research Council. In 2011 he was elected into the Austrian Academy of Sciences as a member of the Young Academy. His memberships include the Chemical-Physical, Austrian and American Physical Societies, the Canadian Association of Physicists, as well as the Optical Society of America. He is a fellow of the QIP program of the Canadian Institute for Advanced Research, and in addition currently holds grants from the European Research Council (ERC), and the Austrian Science Fund (FWF). In his research interests include fundamental physics both experimental and theoretical, quantum and semiconductor optics and quantum information. He currently focuses on novel sources of entangled photon pairs from nonlinear waveguides, via strong coupling in semiconductor microcavities, and from semiconductor quantum dots. 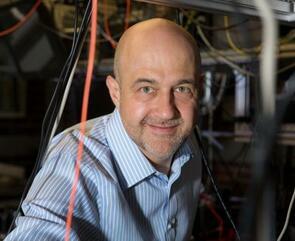 He further does research is in quantum communication and the foundations of physics.